Boffi Group presents the highly anticipated 2018 collections for the first time in the UK during the London Design Festival at the Boffi Chelsea showroom. London Design Festival celebrates and promotes London as one of the design capital of the world. The Festival returns to venues and institutions across the city from 15-23 September 2018. 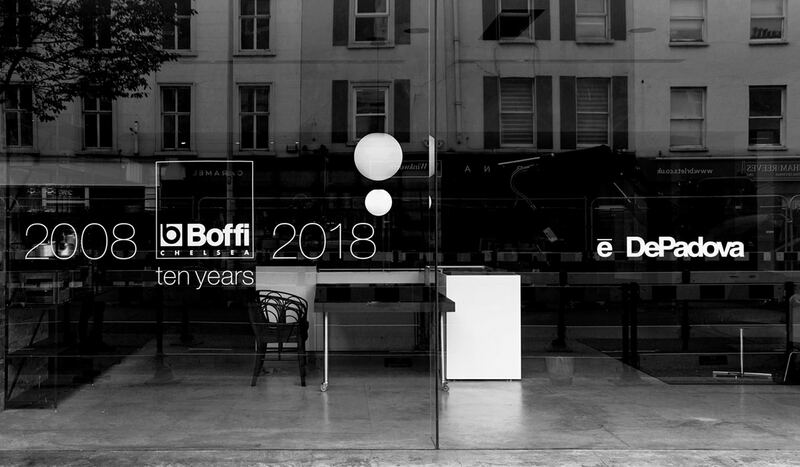 Located in the Brompton Design District, Boffi’s showroom is a destination for architects, designers and end clients across the UK seeking category-defining contemporary furniture; this year Boffi Chelsea celebrates also its 10th year of activity. The three brands of the Group, Boffi De Padova and MA/U Studio, offer unique and tailor-made solutions for home, defining a total living experience. Boffi showcases two new kitchen designs: Combine by Piero Lissoni and K6 by Norbert Wangen. Combine is a new kitchen programme characterised by a range of monoblocs with specific function and available in different sizes that can be freely combined. Thanks to the characteristic 4-sided finishing of the monoblocs, the system offers total freedom of configuration, allowing up to 12 different islands compositions (angular, zigzag or linear). A selection of extractable tables can be positioned on the backside and can be fixed or extendible, allowing to be compact or offer extra dining areas when needed. K6 kitchen, presented with the presence of the designer Norbert Wangen, is part of the second generation of the K collection of monoblocs. Presented during last Salone del Mobile, three new De Padova sofas are displayed. Blendy is a collection of two or three seater sofas and armchair by Omi Tahara. Inspired by the Sicilian mountain range, the Erei by Elisa Ossino, that will personally present the Sofa during the event, is a modular sofa collection with a classic, yet modern aesthetic. Finally entering the De Padova family are Danish-Italian design duo GamFratesi and their Étiquette sofa. Poet light by Keiji Takeuchi is a luminous disc with a cylinder handle that also provides support. Elementi lamp by Elisa Ossino features spherical elements of different sizes, able to freely aggregate around a thin metal rod in different hierarchical and compositional orders. “The freedom to compose the lamp according to different formal ideas allows the imagination to picture always new alignments, shapes and combinations and to choose solutions where the spheres are either in ascending/descending scalar order or in a freer way.” 2018 also marks the introduction of iconic designs by Italian architects Paolo Tilche and Fratelli Monti. The modernist rigour of the orthogonal lines, broken by the organic natural leather seat and back, indicates that the Rea chair and its design passes the test of time. In collaboration with rattan furniture brand Bonacina 1889, the Silvia and T.54 armchairs have been sourced from their historical archives and are now officially part of the De Padova collection.